welcome to 2012, which is sure to be a big step forward for the drug law reform movement! In early December, we marked World AIDS Day by producing a briefing accessible to young people, which you can read here. We also organised a stall with a giant needle gimmick to raise awareness of injecting drug users and their needs, pictures of which are available here. In late December, we organised our first submission to an official inquiry into drugs by the Home Affairs Parliamentary Select Committee, which we made available to everyone to edit until early January. The final document which we have submitted is currently unavailable due to the procedures of the committee, but we will get it up when we can. This report will hopefully mark the beginning of our serious involvement in promoting the voice of young people to policy-makers.This month, we have finally finished designing and implementing our volunteering process, and we are now actively looking for volunteers who have never been involved in Re:Vision or drug law reform before to join our cause. If you or someone you know may be interested in giving us some time, whether writing, speaking, running stalls or helping us out with our campaign, please do make use of our volunteering form here. Our work slowed this month as while we are now rapidly approaching a 50-50 mix of students v. non-students, several key people are now working at their exams and we couldn’t ask too much of them. But exams are now over! As you know, the Core Team is the governing body of our organisation, which takes decisions on the day-to-day running of Re:Vision. Several Core Team members are also Trustees, whose legal responsibility it is to ensure the long-term strategic and financial well-being of our charity. The Core Team is made up of Sarah, Andi, Liz, Jesse, Kay, Joe, and now Dan, who joined last month. Previously they haven”t held meetings because we have tried to organise mainly through the internet. However, our December trustee meeting lasted seven hours and we realised that we need to hold more meetings in order to not have seven hour meetings. We will now be holding monthly Core Team meetings in January, February, April, May, July, August, October and November. Trustee meetings will be held quarterly in March, June, September and December. The Core Team meetings are open for any member with a Volunteering Agreement to attend and participate – please speak to your mentor if you would like to do this. Switching to monthly meetings should make us a great deal more responsive to ongoing events and feedback from our core membership, so this is going to be a great step forward. The list of people who are supporting serious drug law reform gets longer by the day, and more vocal. Richard Branson, billionaire entrpreneur and member of the Global Commission on Drug Policy, recently blogged about the need to end the war on drugs and gave evidence to the Home Affairs Committee as well. Congressman Ron Paul, candidate for the Republican nomination for the U.S. President, is vigorously defending his support for control and regulation in the full glare of the media. The Global Initative for Drug Policy Reform, run by the Beckley Foundation, and the Count the Costs campaign, overseen by the Transform Drug Policy Foundation, are actively bringing together a wide range of NGOs, many of whom have no primary mandate to campaign for drug law reform. This is a really good time to be a drug law reformer, and as young people, with a voice and a vote, we can really make a difference. Support us today. We sent in our submission on time, but then the Home Affairs Committee helpfully extended the deadline to the 5th of February. This is your opportunity to make your own submission to Parliament about how you feel about drug policy! We have provided a form that you can fill out, with some useful prompting questions that you can use: put in whatever you want, then we will send them all off for you. No fuss, no muss! Fill out the form here. We run a very tight ship, but as our organisation grows and we”re buying boring stuff (like public liability insurance) that other sources of income can”t cover. Please donate today to help us focus our attention on things that matter (like the volunteers covered by our public liability insurance)! Here”s the donation button. Update: Write to your MP and ask them to support and impact assessment! Transform are reporting that there there is an Early Day Motion in the UK Parliament calling for an impact assessment of the Misuse of Drugs Act 1971. Early Day Motions are ways for MPs to show support for certain issues – they”re a useful thermometer for which MPs are willing to put their behind something! Parliament publish the list of MPs who have signed the motion. Please contact your MP and ask them to sign it! 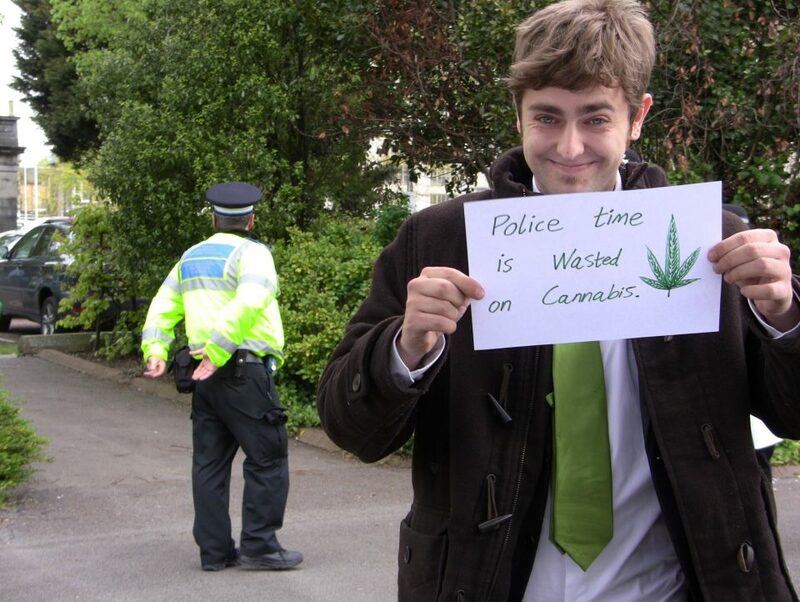 It”s a great way to start getting in touch with MPs and finding out where they stand on the war on drugs. For more information on impact assessments, please see Transform”s briefing on the need for one. In January 2012, Re:Vision Drug Policy Network submitted a document to the public consultation on the European Commission”s new anti-drugs strategy, “Towards a Stronger European Response on Drugs”. While we didn’t feel that the Commission was going to change their policy on drugs overnight, we did feel that it was important for the useful aspects of the report to be praised (such as the proposal to introduce Europe-wide programmes to support scientific research into new psychoactive substances) and to bring a youth voice to the table to condemn the less useful aspects (such as pumping large quantities of money into “prevention” programmes that we believe are contrary to the European Convention on Human Rights). We have reproduced our report below. The original strategy can be read here.The hash marks within the text represent footnoted citations, which we can’t replicate here. They may be viewed in the PDF which is available at the bottom of the page. It is clear that drug policy is an issue of great importance to everyone, whether a drug user or not. Drug use can have a deeply destructive impact on the lives of the individual, their families and their communities. Such destruction also comes at a cost, both economically and socially, to authorities who must deal with the consequences. That the European Commission is developing a new strategy and taking consultation on its contents is an act to be applauded.However, it is the contention of the Re:Vision Drug Policy Network that the current policy of the European Union, and the United Nations, is having a counter-intuitive impact on the lives of drugs users and taxpayers who must fund Member State drug policies. Drug use has risen, not dropped. New psychoactive substances are being developed at a faster and faster rate. The work of EU Member States in developing new methods of harm reduction and treatment is one of the most progressive stages of the current campaign against drugs, but such programmes are mitigating the very real effect that the criminalisation of drugs users is having. We do not anticipate that our response to the EU’s latest communication, “Towards a Stronger Response to Drugs” will engender an immediate policy change. However, we hope that by speaking as young people who live in a world where “hard” drugs are readily accessible and anti-drugs campaign videos are something to be passed around on social networking websites to be laughed at rather than taken seriously, we can demonstrate to the Commission and other stakeholders that the current approach, however well planned, is inherently flawed and drug use, supply, or production cannot be stopped altogether, or even significantly hampered. The horrific development of krokodil in Russia in result to Moscow’s successful reduction in the supply of heroin is just another example of this,# an example which is claiming the lives of drug users and the health of many more. WHAT ACTIONS SHOULD THE EU TAKE TO PREVENT THE PRODUCTION OF ILLICIT DRUGS AND THEIR SMUGGLING TO AND WITHIN THE EU? The most obvious, immediate, and effective method of preventing the production of illicit drugs in the EU is to render them licit. The current differing legislation of EU Member States means that drug producers will move to wherever is most convenient for them, and drug traffickers will move those drugs to wherever demand leads them. This is simple economics of supply and demand, under the very capitalist model the EU advocates. On what basis can the European Commission demand that Member State governments implement ever more austere forms of capitalism as a condition of financial aid, but also actively attempt to suppress a market arising as a logical consequence of the very policies they uphold?By making drugs licit, by bringing them into a system of regulated supply Member states would gain an accurate picture of the size of the market. This has two key advantages; it would allow the health impact of drug use to be analysed in the same way it presently is for tobacco and alcohol, by using sales statistics and consumption surveys. This would allow for better strategic health care planning. It would also provide a stream of tax revenue similarly to how alcohol and tobacco do while freeing up budget expenditure that is currently utilised enforcing prohibition. Though it is accepted that more money would need to be diverted to customs, and regulatory agencies the savings would greatly outweigh the cost.Unfortunately it is very hard to find high quality research on what the value of a legalised drug market in the EU would be. However, we believe the amount would be slightly over the cost of prohibition enforcement based on The Budgetary Impact of Ending Drug Prohibition#. Public Expenditure on Drugs in the European Union 2000–2004# states that the UK spends €3,347 million per year on enforcement we can infer that this amount would be saved from budget saving as well as a similar sized gain in tax revenue giving an additional €6.7 billion to the budget. Under this proposal smuggling would become an issue akin to tobacco smuggling which has only fraction of the value the illegal drugs trade and illicit production would become a local issue as it is with unlicensed production of alcohol.The EU Commission’s document states, “The 2011 Eurobarometer “Youth attitudes on Drugs” shows that young people can easily obtain even the most harmful drugs within 24 hours.” We can confirm as an organisation that represents young people that this is true for young people willing to look. The fact is though, that the majority of young people do not seek to take illicit drugs, or do so on a regular basis.The EU faces two options:1. To enforce border controls, to spend ever greater amounts of money to defeat the market that has been naturally created by a demand, and to abuse the human rights of its citizens in pursuit of that goal.2. To recognise that a significant minority wish to alter their consciousness, and intend to do so regardless of the consequences. To accept that fact, and to focus greater attention on mitigating the harms done by that minority, to both themselves and those who surround them. Finally, while we appreciate the intent of the below commitment of Towards a Stronger European Response to Drugs, we cannot help but feel it is somewhat misguided: “Any measures to prevent the diversion of drug precursors must strike a balance between ensuring an effective control of diversion without disrupting lawful trade in such substances.”The Re:Vision Drug Policy Network would note that the best way to ensure the non-disruption of legal trade, is, again, to include drug precursors within it. WHAT REGULATORY MEASURES SHOULD THE EU DEVELOP TO CONTAIN THE SPREAD OF NEW PSYCHOACTIVE SUBSTANCES? On the subject of emerging psychoactive substances we would like the Commission to seriously consider the following. As has been stated in the European Commission’s communication to the European Parliament and the Council, since 2005 there have been 115 new psychoactive substances reported by Member States; The ISCD states that 41 of these were discovered in the space of one year between 2010 and 2011, suggesting that the development of, and thusly demand for, new psychoactive drugs is rising sharply.# The problem highlighted by the aforementioned communication was that this “Challenges the capacity of the authorities to respond”. The high demand for psychoactive drugs is what fuels this constant re-working of substances in order to create the same psychoactive experiences without restriction from the law. As these become illegitimate one by one, enterprising chemists keep finding new ways to get around the law. This process is dangerous as it pushes those in the market of psychoactive substances to synthesise and rapidly sell substances that have not had the appropriate research done to ensure their safety. These drugs do not arrive on the market because people enjoy taking risks with their health and safety, they arrive on the market because people demand psychoactive drugs and will buy them when made available. If the law was changed to allow psychoactive drugs – we suggest LSD and psychoactive mushrooms as they are easily metabolised by the body and are scientifically proven to be less harmful then substances the EU does allow on the market such as alcohol or tobacco – we believe the creation of new substances would become a relatively rare event.#The EU considers psychoactive drugs to be harmful to the individual and society. We challenge that opinion as the evidence would suggest that psychoactive drugs are not as dangerous as many have been lead to believe. Furthermore LSD has been used to help victims of Post Traumatic Stress Disorder, alcoholism and to improve the quality of life for those facing terminal illness when used in a therapeutic setting.# Due to current legislation it is hard to get permission for researching possible beneficial uses of these substances, and while authorities continuously make derivatives of these substances illegal without considering any beneficial applications they may have, progress in the scientific community has been dramatically hampered. We put it to you that the EU”s policy on psychoactive substances is ultimately responsible not only for the constant flow of new “designer drugs”, but also for slowing medical progress and potentially robbing humanity of powerful tools which could be used in the field of mental health.In conclusion, speaking as representatives of the very youth which the current drug laws seek to protect, we are certain that the demand for psychoactive substances has not declined, despite the efforts of the EU and its individual Member States. Any further attempts to stem demand will be equally futile and will only serve to glamorize the drug as a part of teen rebellion. Adding to this, United Kingdom’s annual report to the European Monitoring Centre for Drugs and Drug Addiction states that, “analysis showed that the most common factor that contributed to the decision to take ‘legal highs’ was that other drugs were unavailable.”# We would suggest that the most effective way to contain the spread of new psychoactive substances is to end the prohibition of ‘conventional’ psychoactive drugs, such as LSD, cannabis, MDMA etc. replacing it with a regulated and controlled system. HOW CAN THE EU HELP IMPROVE THE AVAILABILITY, ACCESSIBILITY AND QUALITY OF DRUG PREVENTION, TREATMENT AND HARM REDUCTION SERVICES IN THE MEMBER STATES? The Re:Vision Drug Policy Network would like to extend their wholehearted support to one initiative in the new strategy:“Enhance the monitoring and risk assessment of substances, by extending support for forensic analysis, toxicological, pharmacological and epidemiological studies”It is imperative that we know what effect, harmful or otherwise, that these new substances emerging have on the human body. As such research does not need to be conducted more than once, except for verification, it is appropriate that a European strategy for research should be developed. Re:Vision Drug Policy Network also cautiously welcomes the following commitment:“Better align laws in the field of drug control, product and food safety, consumer protection and medicines to cover the wide variety of substances that emerge.”It is indeed important for the safety of consumers, of psychoactive substances and foodstuffs, that legislation should be broad and human health is not compromised by the inflexibility of law. However, given the anti-drug stance of the European Commission, we would suggest that particular care should be taken not to damage consumer protection or enjoyment of food, medication, of legitimate industrial materials in the pursuit of drug users. As stated previously, drug policy affects every citizen, not just drug users. It is to be welcomed that Towards a Stronger European Response to Drugs would introduce mandatory minimum standards across all EU Member States for treatment, though we would advocate that such standards should include a commitment to life prescriptions, a preference for heroin over methadone as a means to stabilising addicts, and broad residential treatment programmes as an alternative to prison. However, where we must take issue with the stance of the European Commission’s strategy is in their efforts to reduce demand for drugs. We can state, unequivocally, and with perhaps some surprise, that young people do not respond to “doom and gloom” drugs education. Nearly all of us know someone who uses drugs, even if we have never used them, and advertising campaigns, such as the UK government’s “Talk to Frank” campaign, are not trusted when they mix real advice with scare-mongering messages such as claims that cannabis will give you schizophrenia. The scientific debate over the psychotic properties of cannabis aside, most young people will look at themselves or their peers, note that none of them are mentally ill as a result of their drug use, and discount the source which gave them this information. This has catastrophic implications for drugs education programmes that will bend the truth to suit their aims instead of taking a person-centred approach. As a drug policy NGO committed to the European Convention on Human Rights as a basis of law, we believe that “prevention” is an intrusion into the private lives of individuals. However, if such programmes must exist, they must be truly honest with young people. It is a fact that social networking is the main source of all information for young people, and by recognising this fact and producing information worthy of being shared, the European Commission will have a much greater impact on the lives of young people and young drug users in particular, than if they simply go down the route of “Drugs kill. Don’t do them.